CA State health law does not allow the testing of specimens collected or mailed from California without a written order from a health care professional licensed to prescribe in California (M.D. ; N.D.; D.C.; D.O. ; N.P. ; and L.Ac.). If you are a California resident and would still like to order online, please visit: www.canaryclub.org or www.johnleemd.com. These sites will help you order online, with a health care provider licensed in the state of California. MD State health law prohibits ZRT Laboratory from processing Internet orders for Maryland State residents at this time. 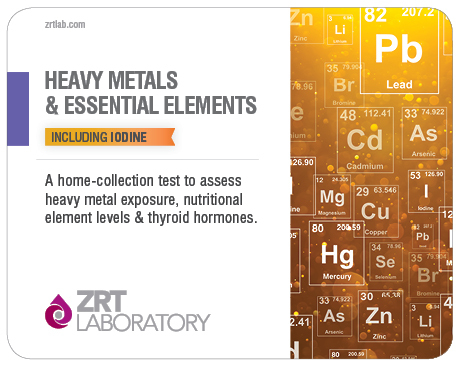 Please contact ZRT Laboratory Customer Service at 1-866-600-1636 for more information. NY State health law prohibits ZRT Laboratory from processing Internet orders for New York State residents at this time. 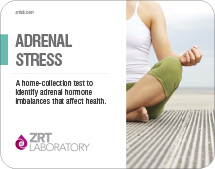 Please contact ZRT Laboratory Customer Service at 1-866-600-1636 for more information. 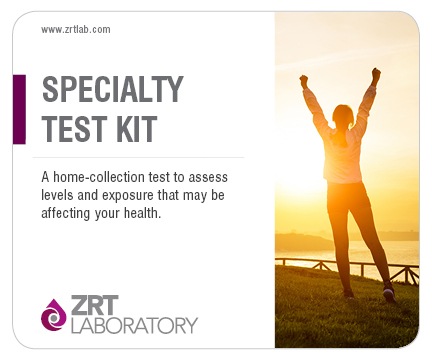 ZRT is a CLIA certified lab that provides the service of collecting and analyzing specimen samples. You will be submitting health information and ordering tests for informational purposes only. ZRT has a contracted licensed physician who will review your request and authorize the testing service you are purchasing. You are responsible for taking the test to your primary care physician for any additional interpretation and neither the physician authorizing the test, nor ZRT, are diagnosing or treating any condition through your use of this service.